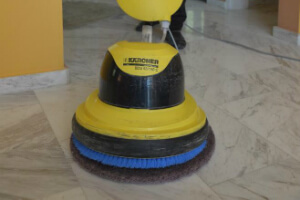 Hard Floor Cleaning Commercial & Residential Selhurst CR0 | Quality Property Care Ltd.
Don`t hesitate to get rid of the dull spots and the bacteria, micro scratches and watermarks from your floor with the assistance of our expert hard floor cleaning experts. Get in touch with us on 020 3746 4287 to make a reservation or to get further information about our services. We are available for you 24/7 and 365 days per year - including in weekends and national holidays! If you want our talented and skillful Selhurst CR0 floor cleaning experts to help you out with the floor faults and stains, too, reach Quality Property Care Ltd. via this phone number 020 3746 4287! Floors like Linoleum Laminate Floors Vinyl, Karndean and Amtico floors, we would recommend you decent and tender approach, combined with harsh proper disinfection, bacteria removal and stain elimination. Unlike the indoor floor cleaning services, which usually involve a spray, scrub, vacuum, dry and rinse treatment, the professional patio cleaning and driveway cleaning offered by the company involves pressure washing. The Quality Property Care Ltd. cleaners are equipped with powerful jet washing equipment which they will use to safely provide you with professional exterior cleaning of your decks, drives and paths. Any dirt, residue, mold will be washed off of your outdoor space and it will look perfect and clean for spending more time there. So, if you want your outdoor space to be perfectly clean, and your indoor floors to be rejuvenated, shiny and protected once again, book the professional hard floor cleaning services from Quality Property Care Ltd. of the company right away.